Drievriendenhof is a shopping complex located in the heart of Dordrecht’s historic town centre. Despite undergoing full renovation in 2006, the complex proved unable to weather the economic crisis that took hold from 2008. As a growing number of premises fell vacant, the need for a new formula became increasingly apparent. Changes in the retail landscape leads to an ongoing vacancy problem in the rear section of the shopping complex. A major anchor store is needed to provide an impulse for customers to visit the centre again. No easy task in these times of economic stagnation. In consultation with the owner Syntrus Achmea Real Estate & Finance, CBRE developed a plan to create a large-scale retail space for a new tenant in the rear section of the complex. In addition to changing the structure of the building and its pedestrian routes, a prime tenant was sought for the large-scale retail space, while the marketing and communication strategy and the building’s image were renewed. The implementation of the new formula signalled the start of a campaign to let the remaining available units. 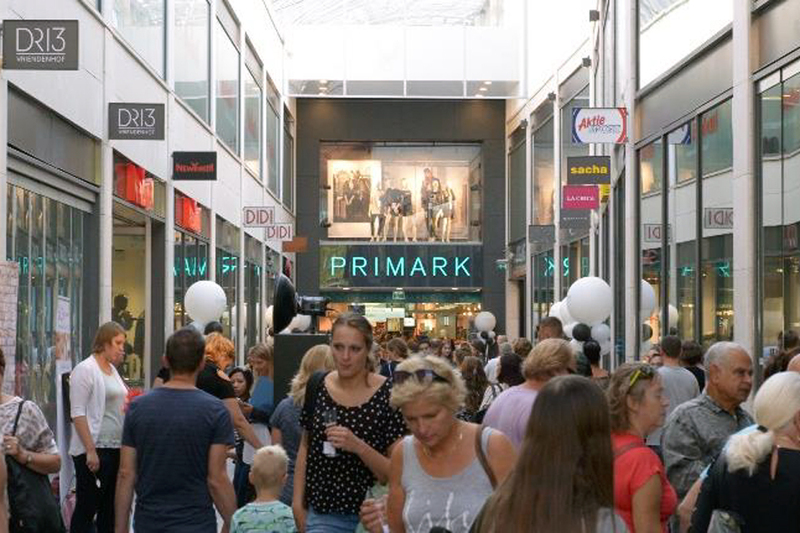 Retail Agency and Development Services joined forces to develop the strategic vision and oversaw the rental process with Primark. The inconvenience to customers, retailers and residents was minimized throughout the process thanks to efficient implementation and an ongoing PR campaign. In addition to running the complex, Asset Services also took care of communications and marketing related to the redevelopment. The work was completed in mid 2015. At the start of December 2015, Primark held a gala opening of its new store. The combination of a new tenant, modified structure and other adjustments led to a structural increase in the number of visitors. The profile of the new Drievriendenhof has also made it a more attractive prospect for retailers.